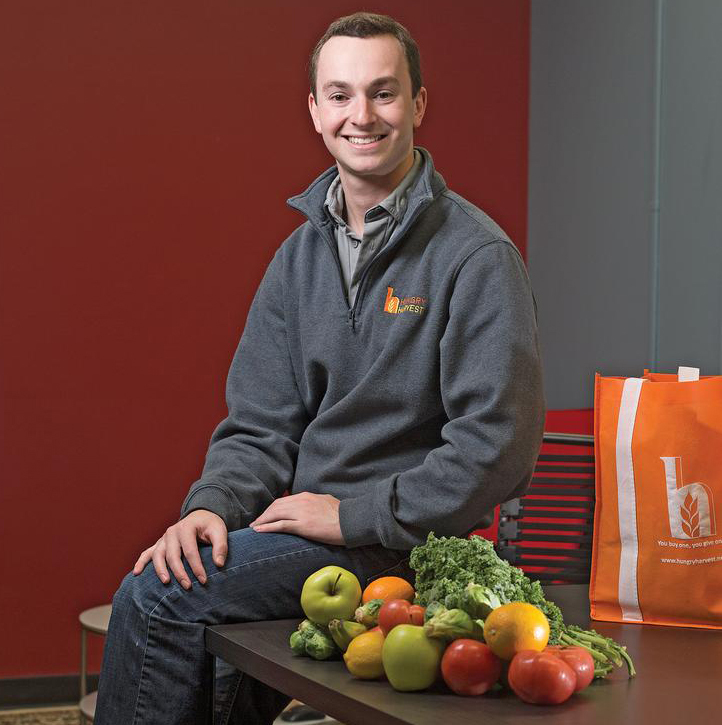 The first thing that struck me most about Evan was his commitment to Hungry Harvest. All throughout his pitch, I couldn’t help but notice (and admire) how passionate he was about solving the food waste problem facing America. In fact, even when some of the other Sharks dropped out, I could see that he would not be deterred from his mission. It was this drive and focus that led me to make a deal with Evan. What started off as a volunteering gig in college has become a full-blown business for this young entrepreneur. I have no doubt in my mind that Evan will do great things with Hungry Harvest and I’m so happy I get to be part of the solution for two of America’s biggest problems – food waste and feeding the hungry. Let’s talk motivation – what motivates you daily? Six billion pounds of food go to waste, while 50 million Americans are food insecure. That’s 1/6th of the population of this country. Currently, there isn’t a sustainable solution to fix the problem of food distribution. I wake up every morning motivated to solve this problem with the passionate & talented team at Hungry Harvest. The very first sale we made was a thrilling, addicting sensation that still gets me excited every time we obtain a new subscriber. The feeling does not get old! In entrepreneurship, the lows are very low and the highs are very high. The exciting events – Shark Tank, getting an investment, and reaching sales goals – are what motivate me every day. Six billion pounds of waste and yet 50 million Americans go hungry – crazy! Is that why you started your business? I’ve wanted to become a social entrepreneur throughout my entire life. I’m passionate about empowering people, business, and the Baltimore Ravens. I’ve eaten healthy my entire life and my senior year at Maryland, I started working for an organization called Food Recovery Network (FRN). I started a project under FRN called the Recovered Food CSA. We started selling ‘surplus’ fruits and vegetables to college students on a farm table – $5 for 5 lbs. The project grew exponentially in size week over week, and in May 2014, we turned that into Hungry Harvest – a for-profit, home-delivery model. That’s amazing – good for you! Give me your top three lessons that you learned from the Shark Tank experience. I taught myself how to stay calm, cool, and collected during public speaking, pitch events, and while practicing for the big moment. This skill was imperative in the Shark Tank. People are only as intimidating as you make them. Don’t put anyone on a pedestal – they are humans too, and the way to make a lasting impression is by showing confidence. Thick skin is important. 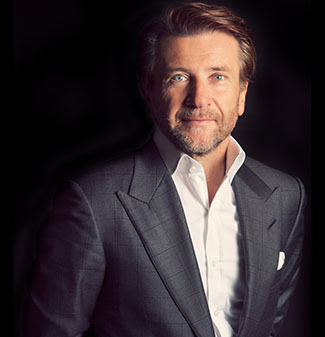 As a CEO, I’ve developed very thick skin – and I knew that was necessary going into the Shark Tank. Everyone defines and measures success in different ways so what is your definition of success? How do you measure it? We measure success based on how much food we recover from going to waste, how many people we feed, and our number of active subscribers. To date, we’ve recovered 500K+ lbs. of food from going to the landfill, donated 185K lbs. to people in need, and have just under 3K active subscribers. In 2016, we hope to rescue 1M lbs. of food from going to waste, donate 250K lbs. to people in need, and double our active subscriber base. Did you find that there is there a price for success? What sacrifices have you made to achieve yours? I’ve sacrificed my mental health, physical health, hygiene, relationships, and more to make sure this business succeeds. Hungry Harvest is my baby, and I treat it as such. I’m willing to lay it all on the line if it means we’ll be successful on our journey to reduce food waste and feed the hungry. In today’s competitive business landscape, that’s what you have to do. You’re absolutely correct – the business world is constantly evolving and we always have to be in a hyper momentum to move with it. The road to success isn’t always smooth – tell me about a time where you’ve failed and how you learned from that experience. Early in the company’s history, we found a dead bird in a box of produce that we received. We were scared that the incident would be the end of the company, and our reputations as well. We worked 20 hours straight to correct the problem, and implemented the strictest procedures to ensure quality and food safety standards are met. Since that incident, we’ve met some of the highest food safety and quality standards in the industry. Let’s talk sales – what has been your biggest sales hurdle you’ve had to overcome and what did you do to reach the next level? Our biggest hurdle was getting off the ground and making the first few sales to sustain the business. We had very limited capital and no proven sales strategy so we used our founder’s funding to experiment with marketing tactics. One of the first things we did was hire interns to help us go door-to-door in the sweltering Washington DC summer heat to sign up our first customers. There were many points where we almost ran out of money – but our determination kept us afloat! You know, it really was that determination that made me give you an offer! 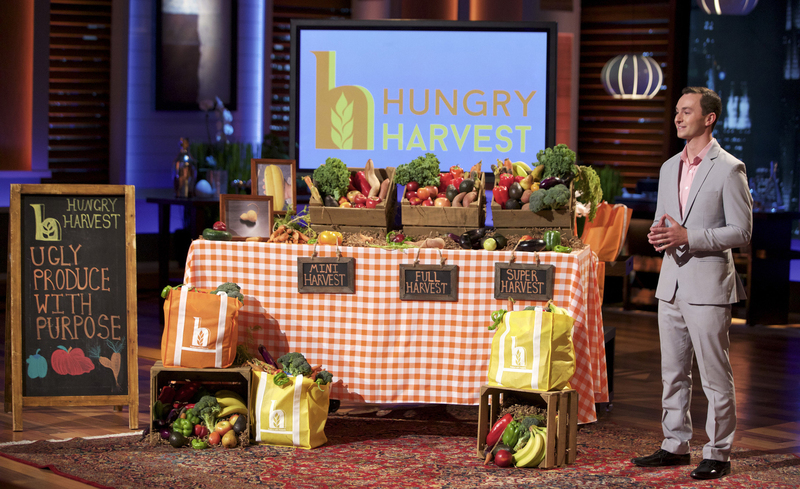 What’s next for Hungry Harvest? What is one significant goal for the future of your company? In 5 years, our goal is to be the largest produce delivery service on the East Coast, and in 10 years, we want to be the largest produce delivery service in the US. I know it’s ambitious – but we only live once, so might as well make the best of it! Six billion pounds of food go to waste, while 50 million Americans are food insecure. That's 1/6th of the population of this country. In entrepreneurship, the lows are very low and the highs are very high. We measure success based on how much food we recover from going to waste, how many people we feed, and our number of active subscribers.